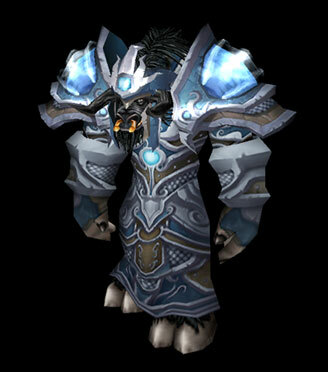 Sticking with tier 4 we find the Cyclone set for our beloved Shaman. This set is a perfect example of less is more with understated robes that are contrasted by a nice set of shoulders and matching head piece. While definitely not an overly flashy set, it just works and did a good job of being attractive while still being diverse from all the previous Shaman sets. In short, a classic design that would be welcomed and enjoyed in the current end game if ever we were given the option. This entry was posted on May 10, 2011 at 10:56 pm and is filed under General, MMO, Role Playing, World of Warcraft. You can follow any responses to this entry through the RSS 2.0 feed. You can leave a response, or trackback from your own site.